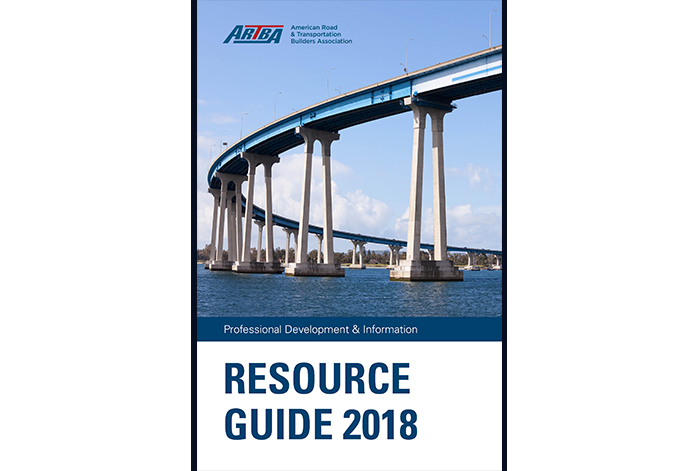 ARTBA’s 2018 Resource Guide is available in the “Members” section of our website and also was recently emailed to members. The Guide is a handy way to learn more about the many valuable programs and services—including our new Safety Center—that come with your membership. “From educational and learning resources to event opportunities and quick facts about ARTBA, the Resource Guide provides information and guidance on how to leverage your membership to help your own professional development, your firm and our industry,” said ARTBA Senior Vice President of Strategic Engagement Allison Klein. If you have any questions or want to learn more about a specific program, please contact Allison at aklein@artba.org or 202.683.1036.